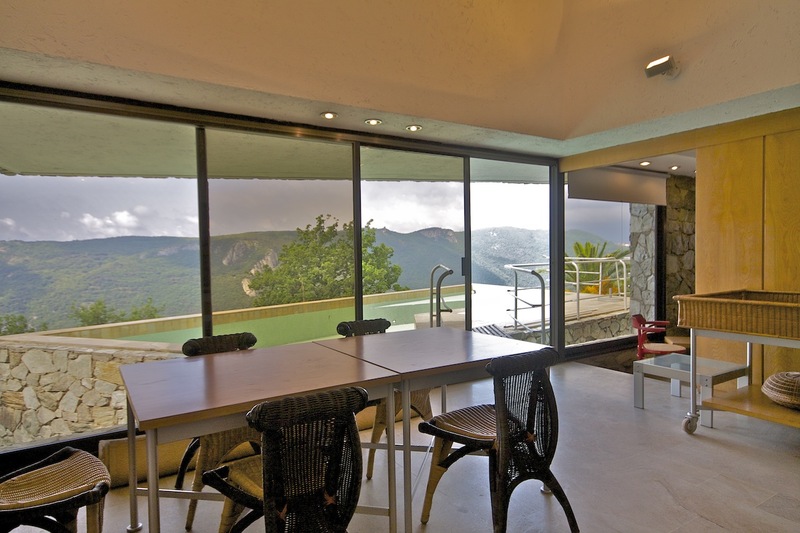 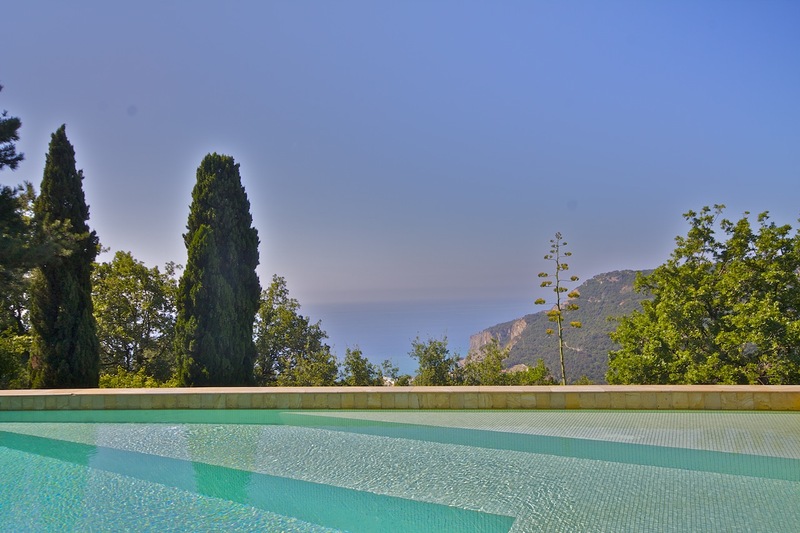 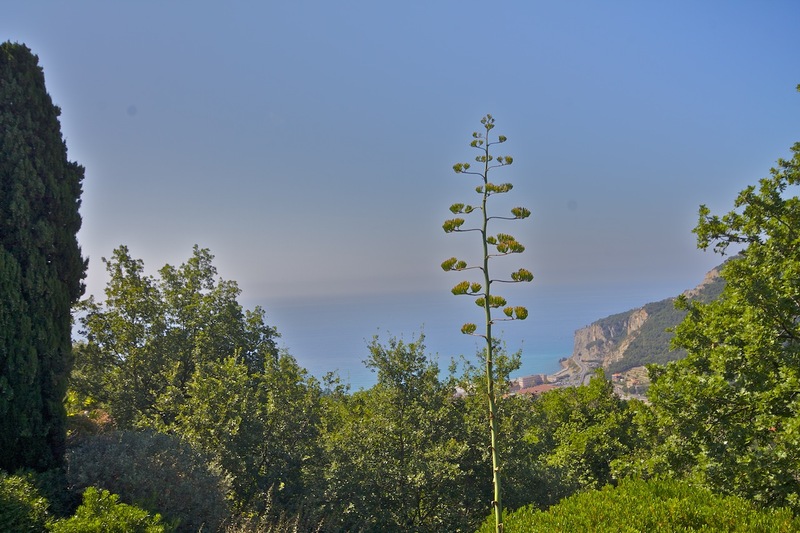 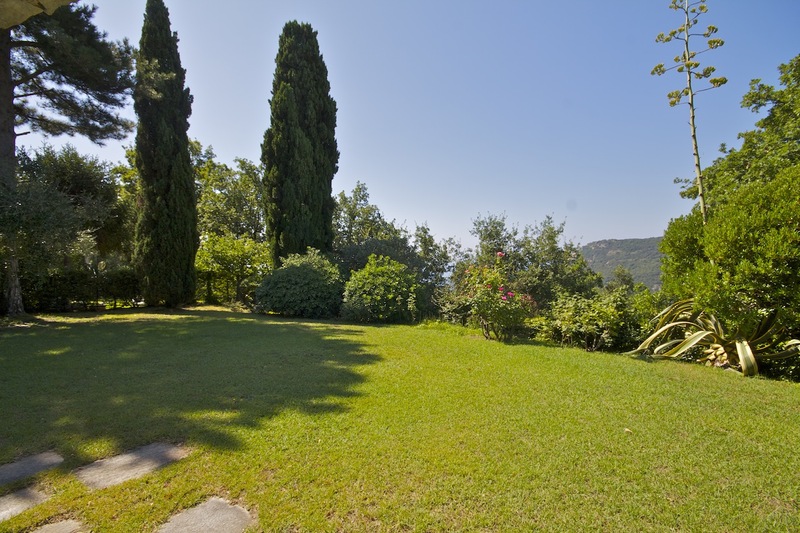 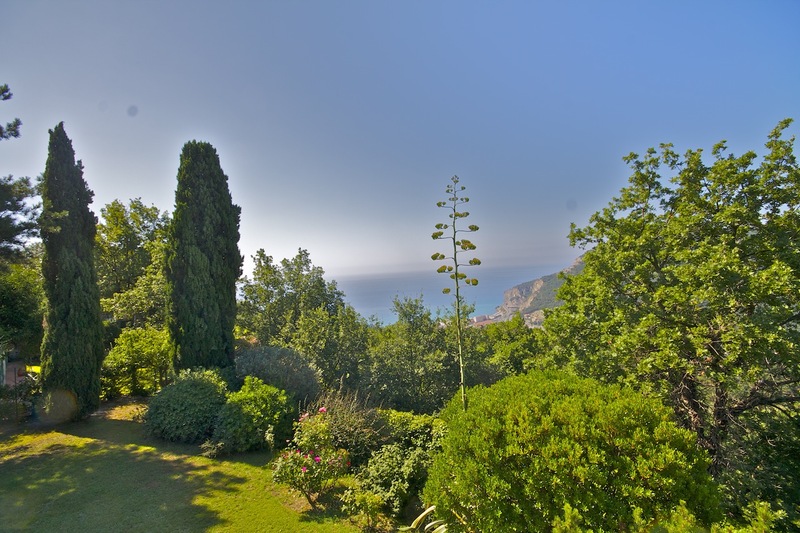 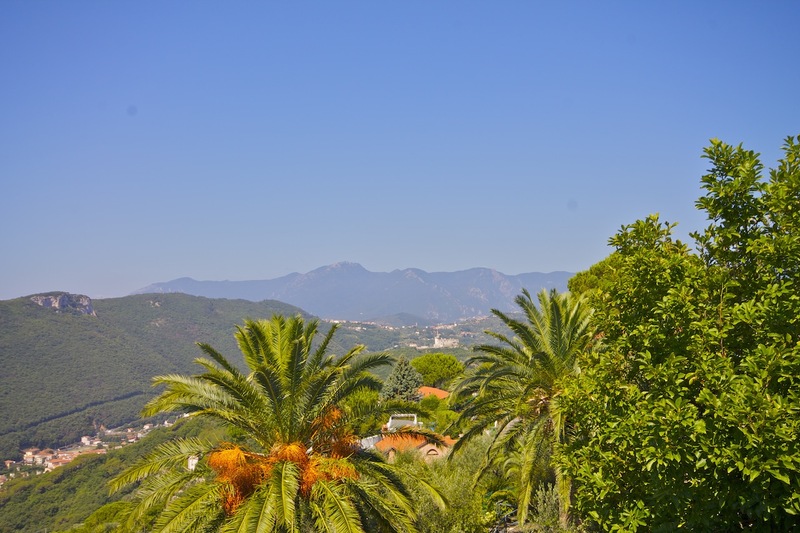 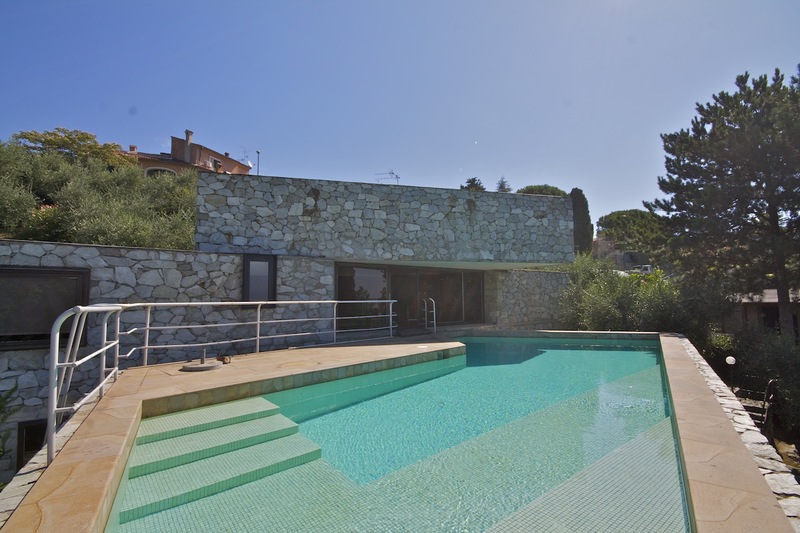 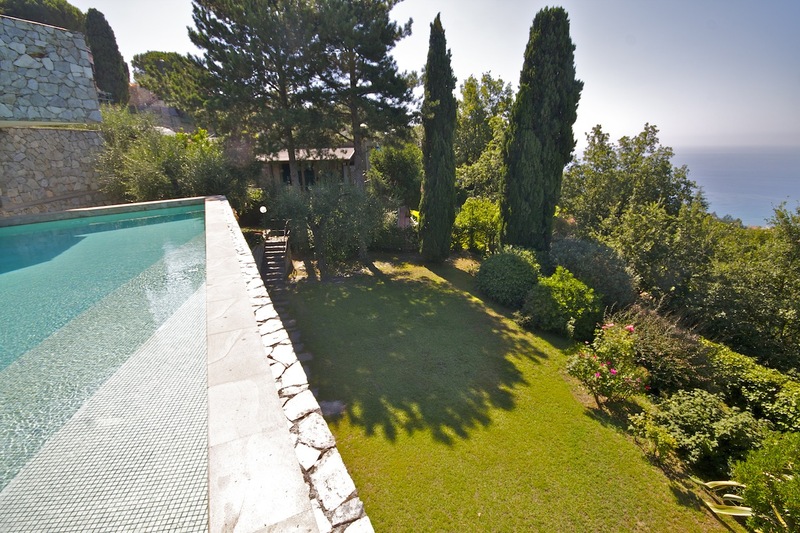 Beautiful design villa overlooking the sea from high above the medieval fishing village of Finale Ligure, listed as one of the most beautful villages of Italy. 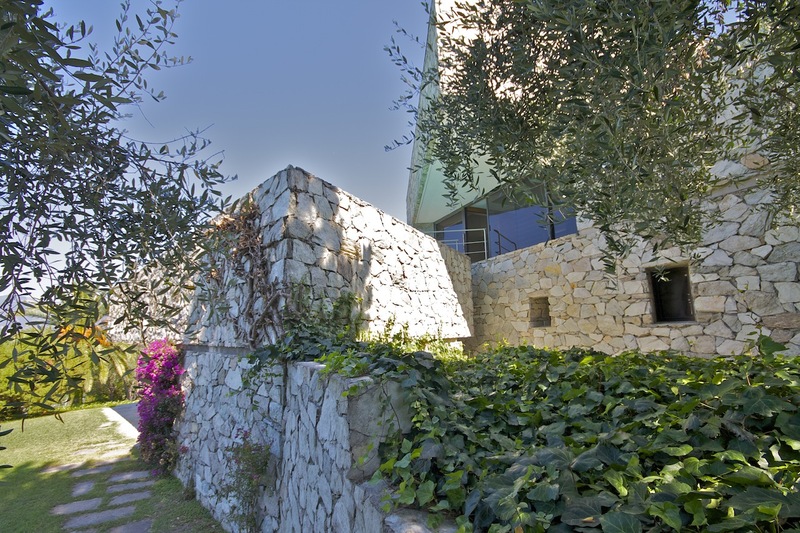 Designed in the 1970’s by the famous Italian architect Roberto Morisi, working companion of Luigi Moretti, designer amongst others of the Liberty centre Milan, villa on the sea for the Sultan of Brunei, Villa Kucing, Teatro Ryad, Saudi Arabia, much feted by the International press and published in all the main architectural magazines. 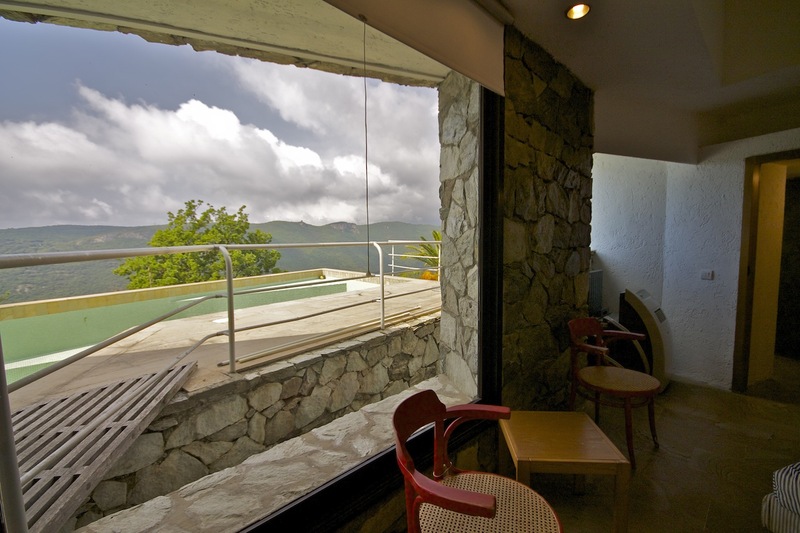 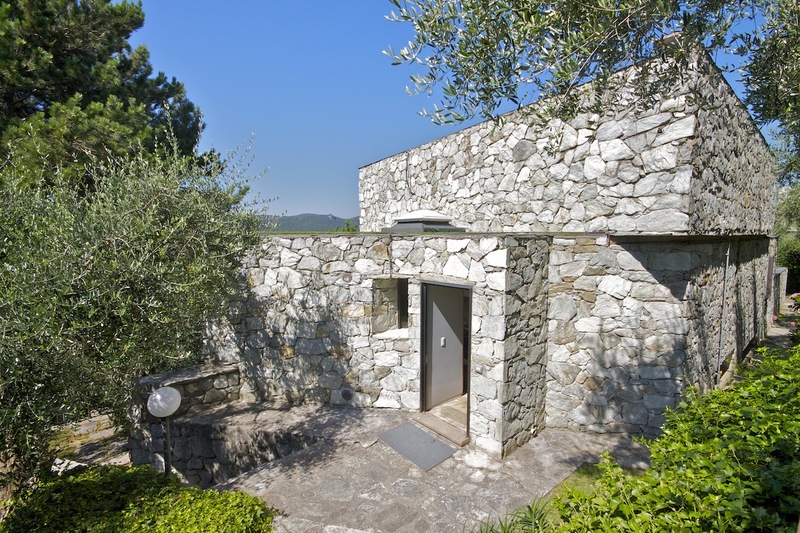 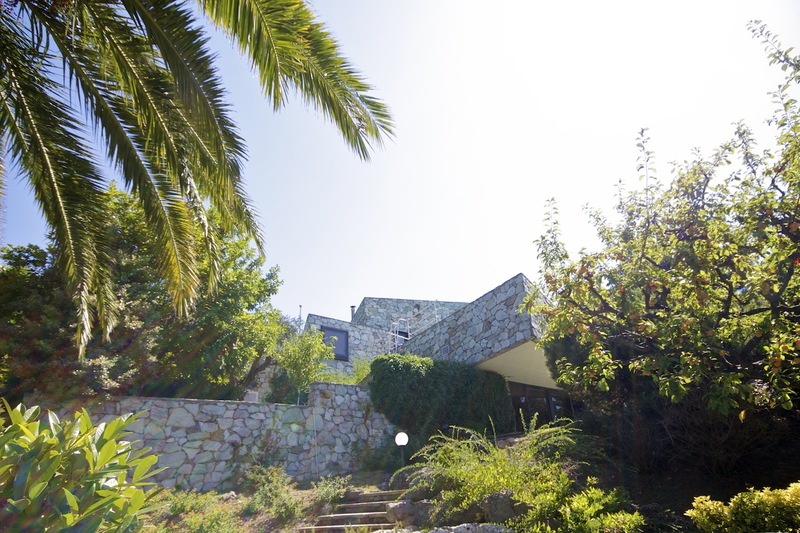 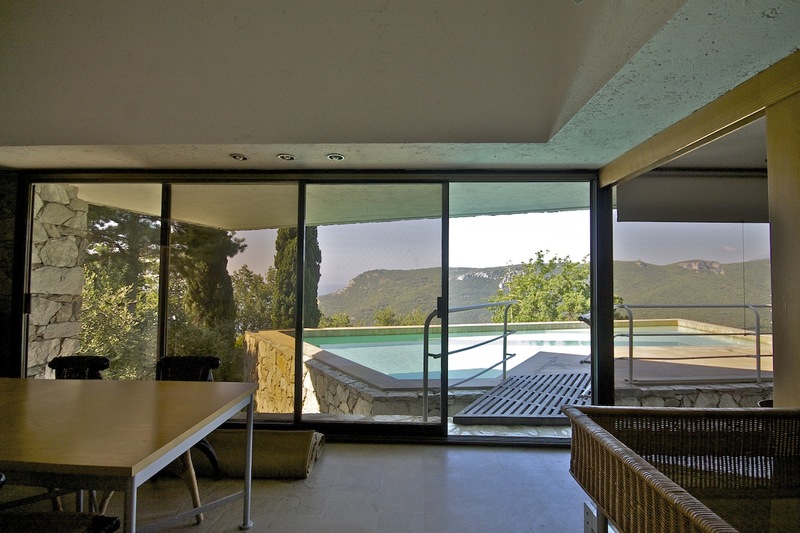 The villa itself is all design, time has not altered the impact of its structure. 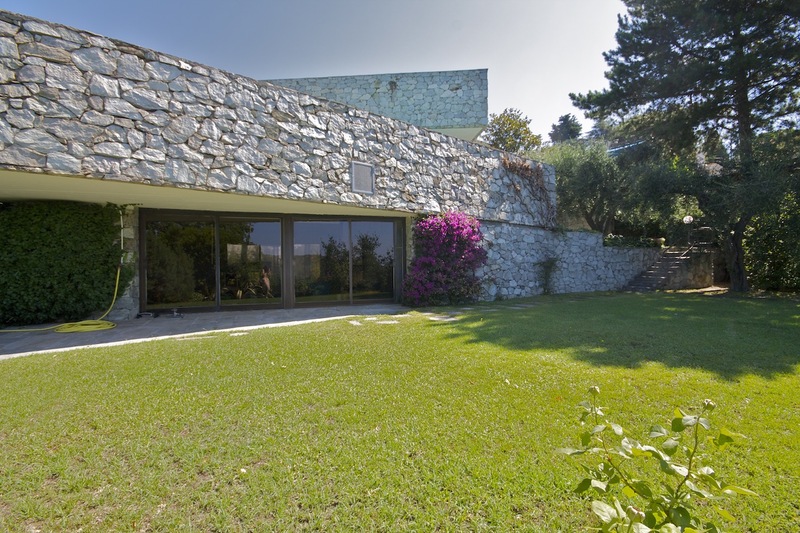 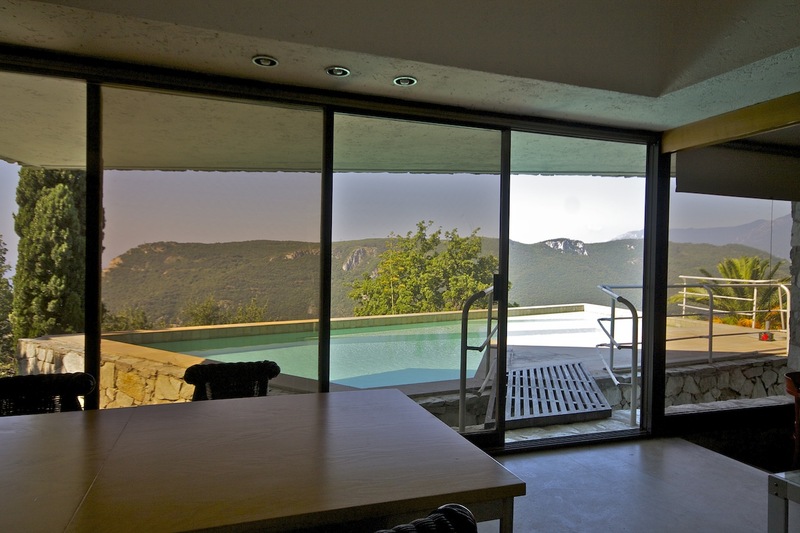 The house opens with a shock from the beautiful living room, which opens totally to the raised level pool, an expanse of glass and blue water and beyond the Bay of Finale and the classic view of the Castel Gavone dating from the twelfth century, to the extensive rocky mountains by which it is surrounded. 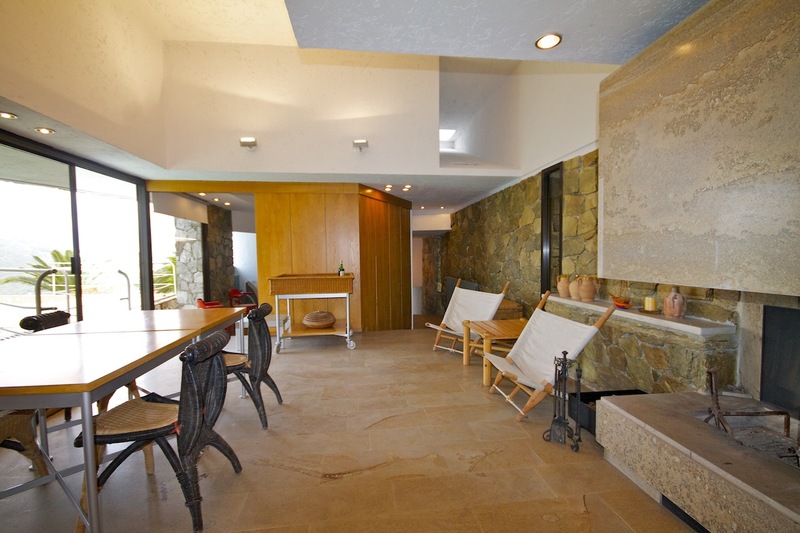 The house was designed to have low impact on the environment and is all in stone, both externally and internally. 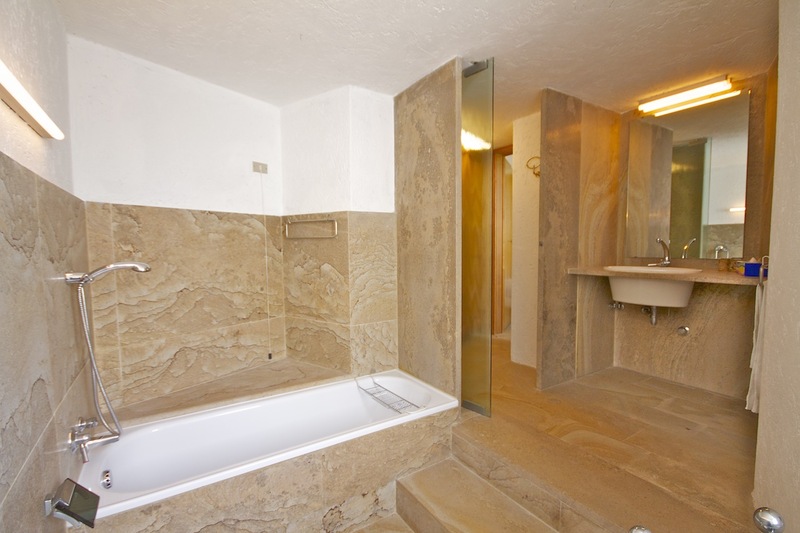 The internal space is finished in magnificent Tuscan ”pietra dorata”, a golden and multi veined stone of high prestige. 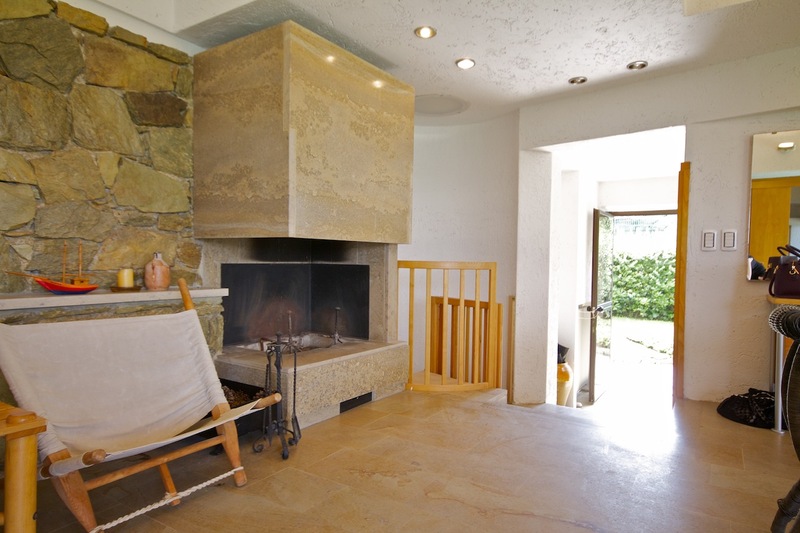 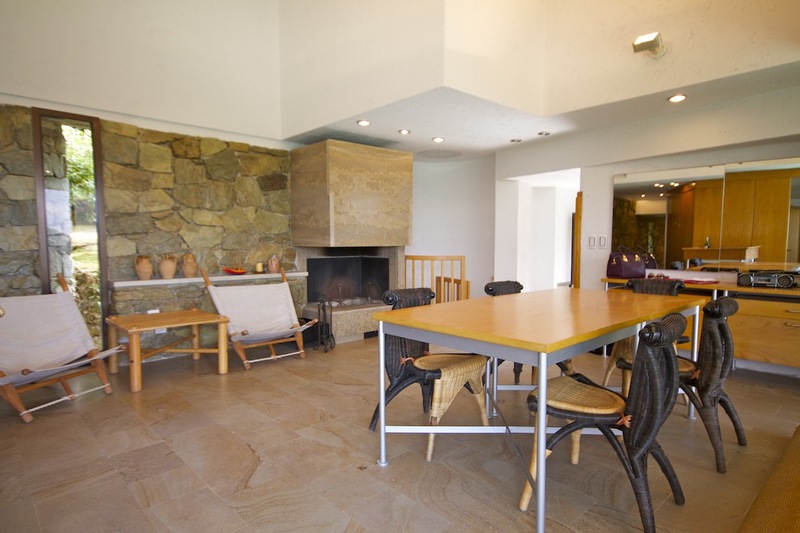 The living room has a stunning design fireplace, also created of this stone. 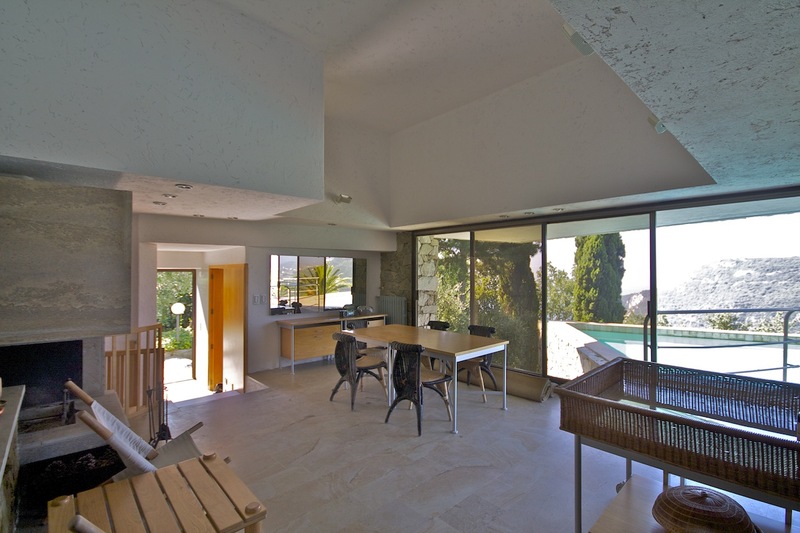 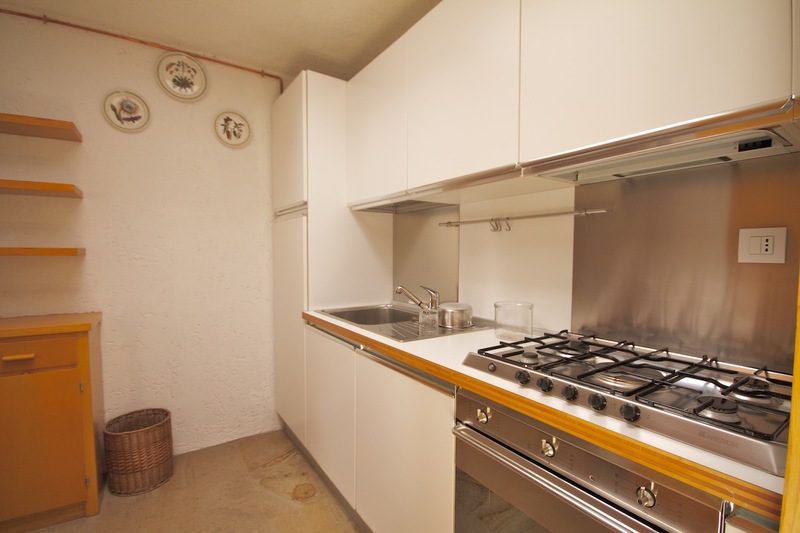 The living room is of 40 sq m. The house has a separate kitchen. 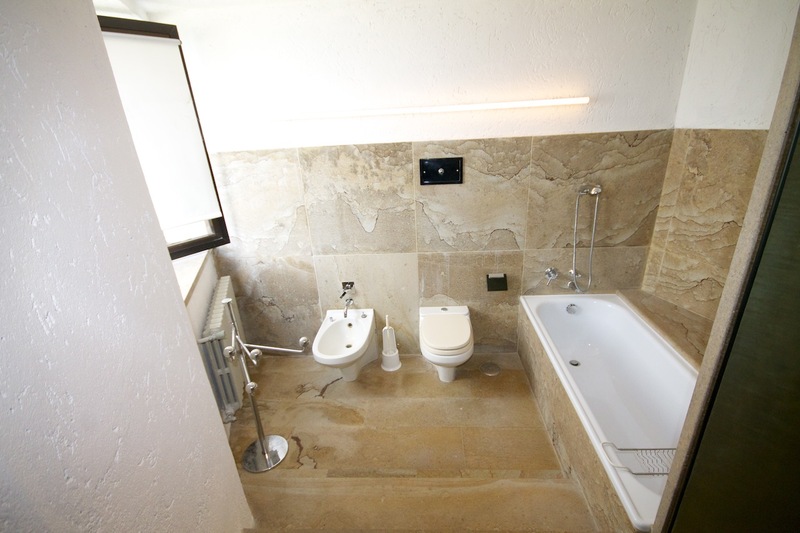 The living room leads to a double bedroom and bathroom. 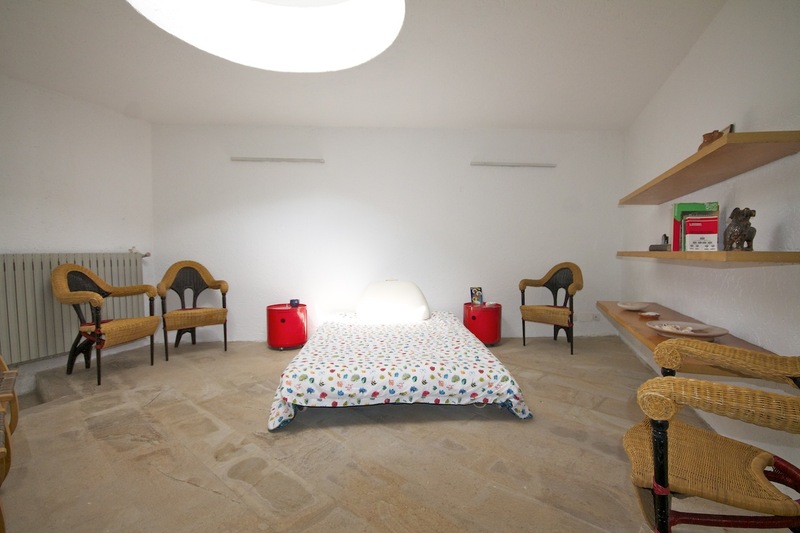 The bedroom is of fine design with electric windows opening into the ceiling. 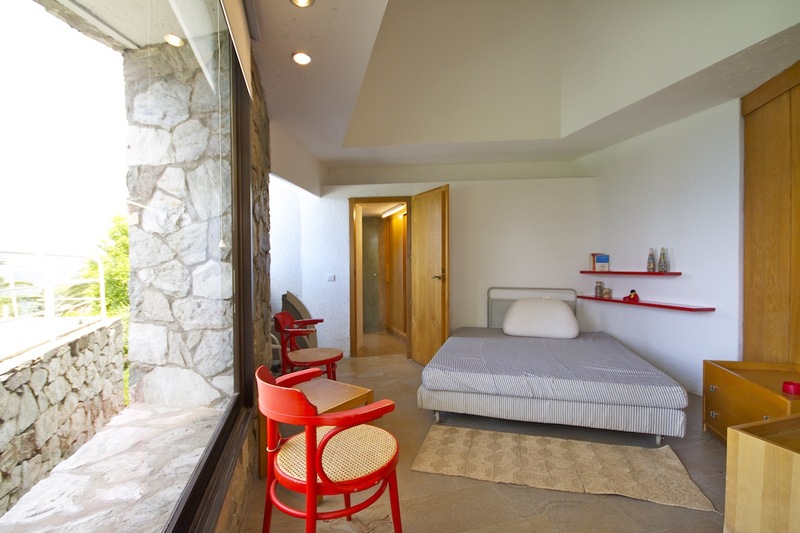 The lower floor is a mix of large storage areas and a bedroom and bathroom. 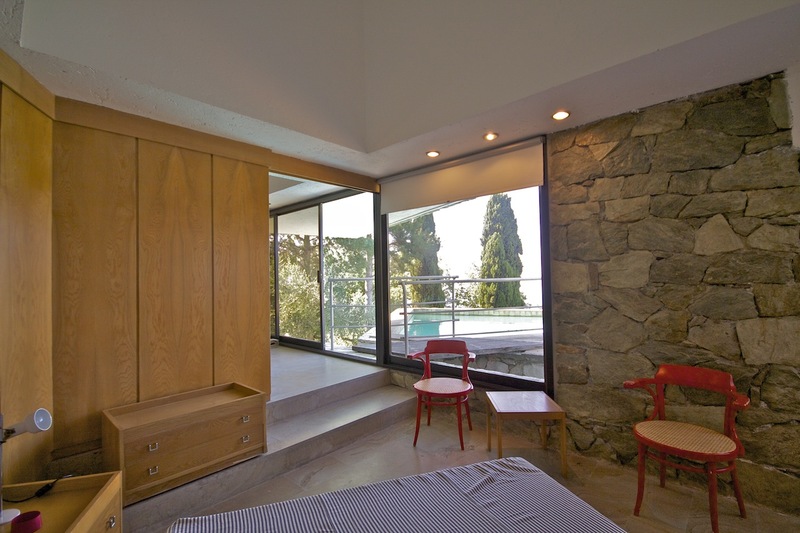 Unique is the extensive bedroom and bathroom under the pool, a huge room of 90 sq m circa, with a glass fronted opening to the garden. 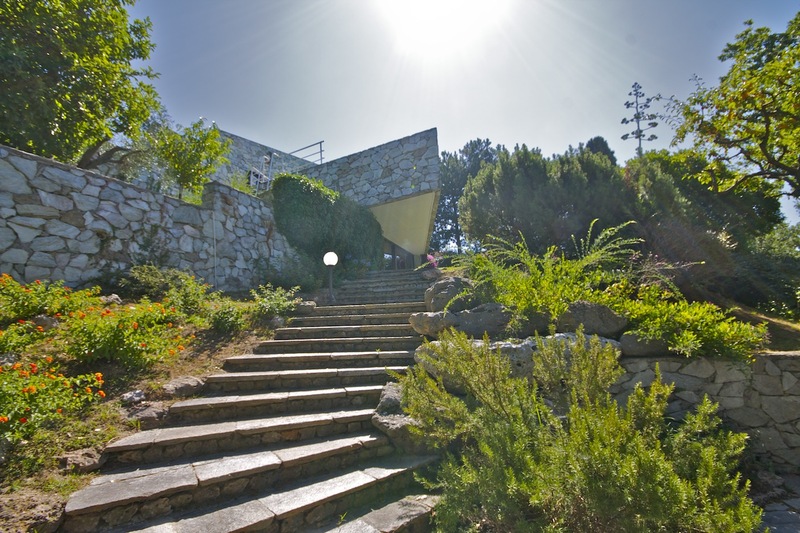 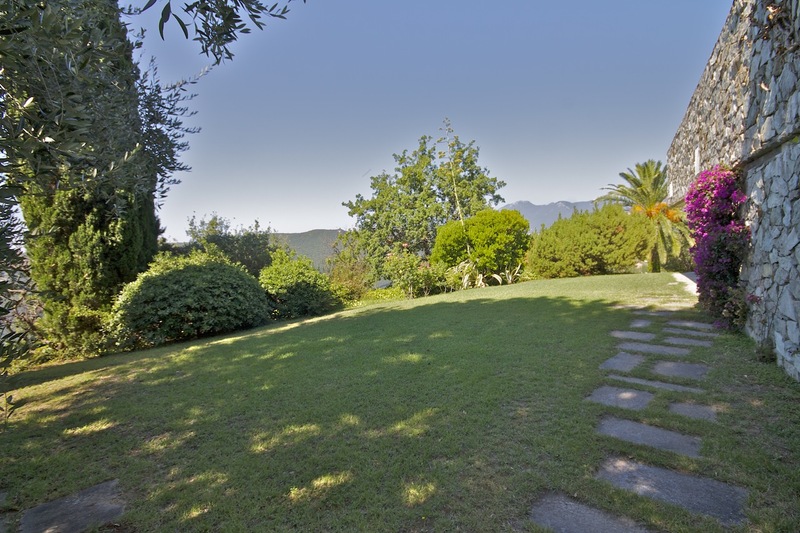 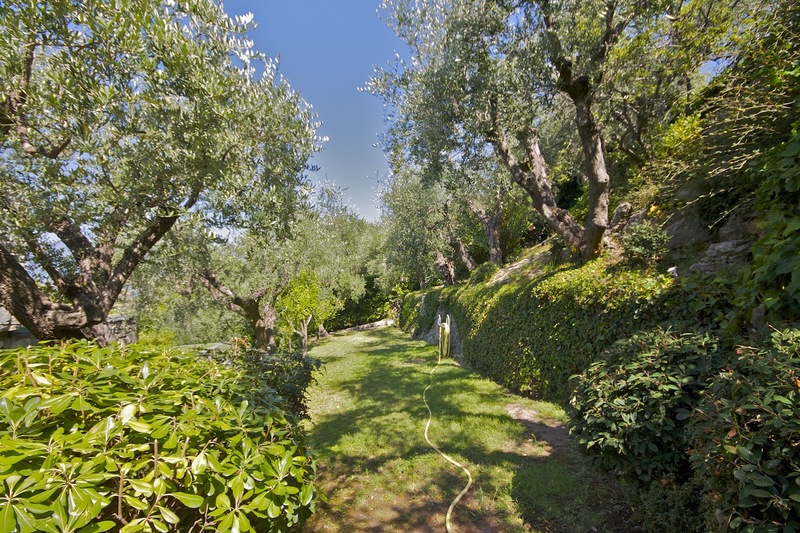 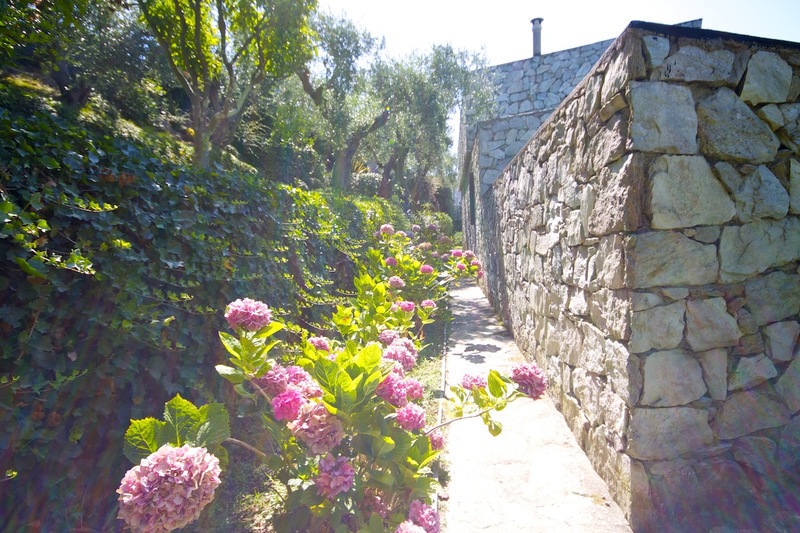 The garden itself has extensive lawns, olive groves and many fine fruit trees, it expands for 1,500 sq m There are two parking spaces in the garden. 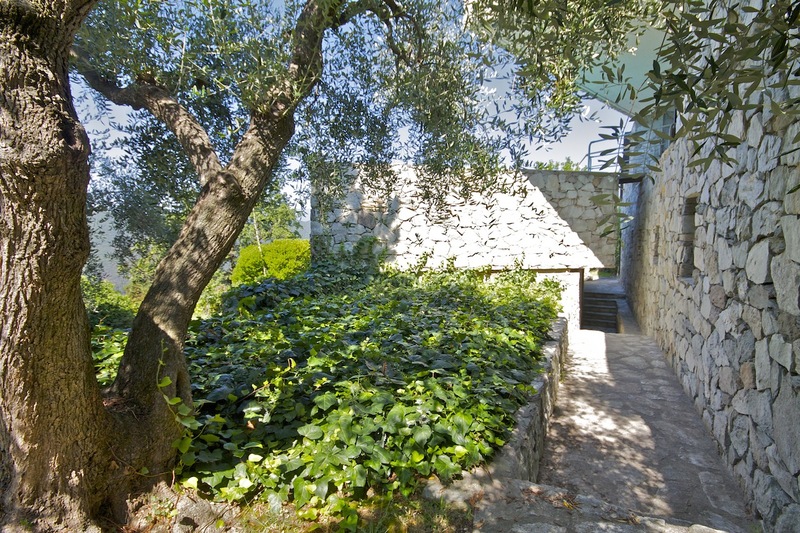 The villa itself is of 300 sq m.